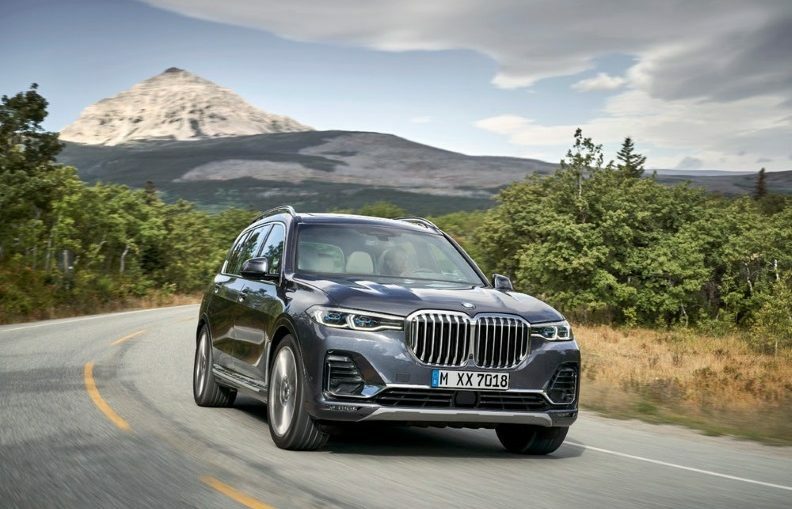 Launching in 2019, BMW’s brand new X7 sets new standards of colossal bigness for the Bavarian brand, starting with a beaver face comprising the “largest kidney grille in BMW history.” It also promises plenty of high-tech goodies, intelligent, adaptive luxury trim and an “agile and versatile” drive … for its size. 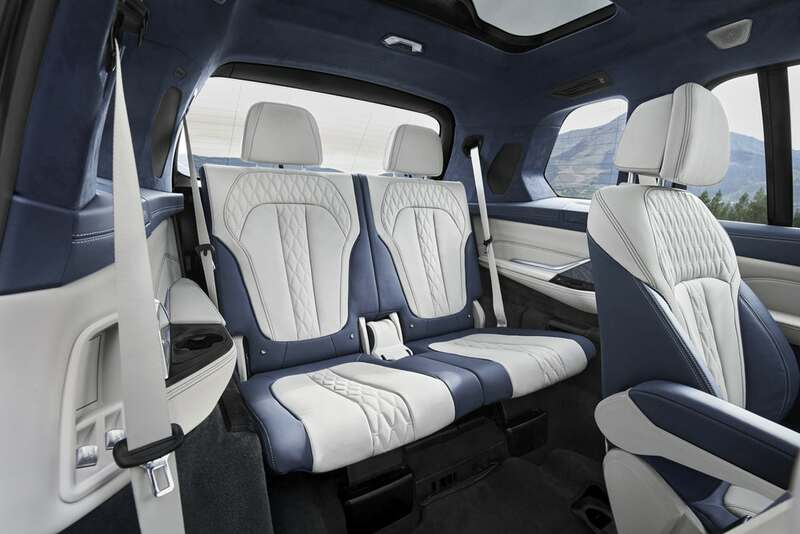 Back-row passengers shouldn’t feel too short-changed, either, apart from the whole lack of a dedicated door issue – but they do get their own armrests, cup holders, electric seats and USB charging ports. 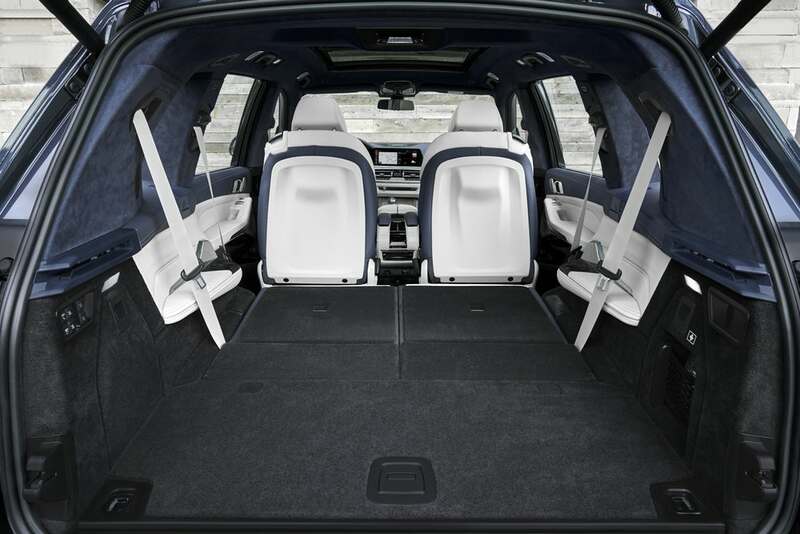 And if nobody’s back there, the back two rows can be folded forward to boost luggage space from 326 L up to an enormous 2,120 L that might have some vans looking sideways at you. The tailgate is a split clamshell design, so you can pretend you’re rocking a Rolls-Royce Cullinan as you slide your muddy mountain bike in the back. 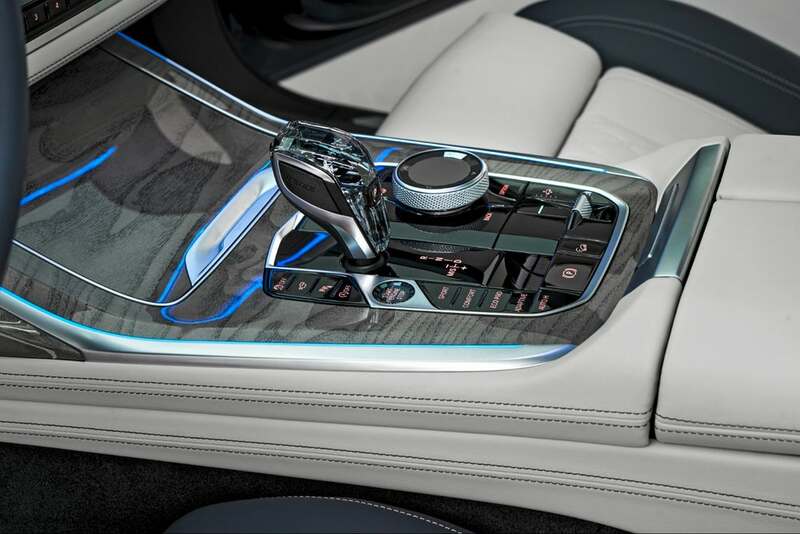 Standard interior features include Vernasca leather trim, a four-zone automatic climate control, a three-section panoramic glass roof, and ambient lighting – including glowing welcome mats. There’s also an “ambient air” package offering eight different fragrances, which is a remarkable addition, and a pumping 1,500 watt, 20-speaker 3D surround sound system from Bowers & Wilkins. Up front, the new Live Cockpit Professional dash gives you two 12.3-inch screens, one as your main dash and one as a control screen. You’ve got the option to use touchscreen, the iDrive controller, gesture control and buttons on the steering wheel, but BMW is putting a lot of work into its “hey BMW” voice control system, to the point where you can ask it “how’s my oil level,” or tell it you’re feeling a bit tired, in which case it’ll adjust things like mood lighting, music and temperature to help you stay focused. It doesn’t stop there. A “caring car” function adjusts all these things, as well as the ambient light/shade levels, the aroma in the cabin, the heated and cooled seats and things like massage seat functions to suit your mood. This car is clearly trying its best to create a range of different atmospheres in a way even the smartest of smart homes would struggle to match. Keyless entry goes to the next level by not even requiring you to carry a coded fob – you can enter and start the car as long as you’ve got your smartphone on you. In terms of driver assist, the X7 doesn’t offer any kind of hands-off autonomy, but short of that, you name it and it’s there. Adaptive cruise with speed limit assist that goes all the way down to stop/start speeds, steering and lane control assist, evasion aid, and auto emergency braking are all in there, as are cross-traffic, priority and wrong-way warnings, a latest-gen head-up display and fully automated parking. The overall impression is one of size, space and intelligent, high-tech luxury that strives to always be ready to provide the perfect environment. 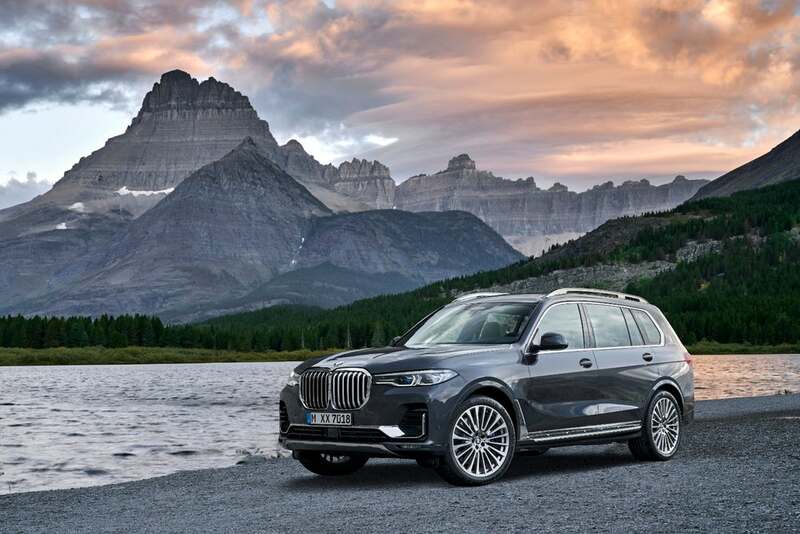 It’s presumably focused on the American market, where the X7 should be well placed to take on Mercedes-Benz’s equally massive and luxurious GLS. 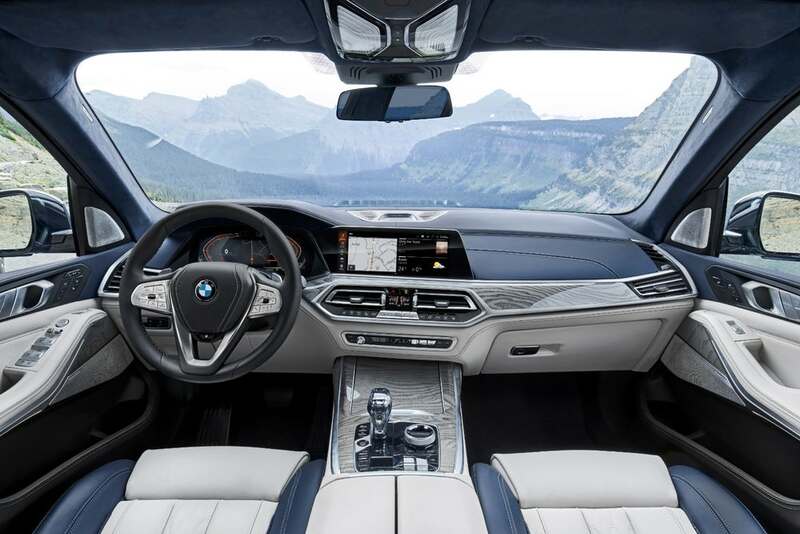 The X7 will be produced at BMW’s plant in Spartanburg, South Carolina, and will hit showrooms in March 2019.